We are thrilled to unveil our esteemed Brooklyn Selection Committee. These members of a globally significant art community set the high standard of the fair, ensuring you can buy from our artists with the confidence that you are investing in the very best of emerging talent. Last but not least to join the selection committee is Deputy Editor at Elephant, Emily Steer. 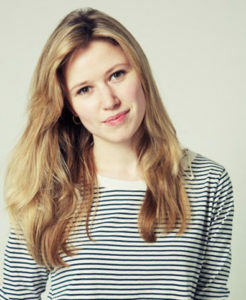 Emily Steer is Deputy Editor at Elephant, and has previously been published in titles including the Telegraph, Grazia, Time Out, i-D and MUNCHIES. Elephant is a quarterly art culture magazine founded in 2009. The magazine is based in London with a global reach, featuring fresh faces, new ideas and eloquent voices. Book your tickets online now for the next US edition of The Other Art Fair at Greenpoint’s Brooklyn Expo Centre.